Does it enable you to track/schedule competency assessments? For lab staff, initial competency re-assessment for each training task is 6 months, followed by annual re-assessment. It's a nightmare to keep on top of this when everyone has started at different times. Getting them in sync is the first aim, but it's not always possible. Yes you can schedule re-assessment, retraining, or any other type of class with training plans. A training plan can contain an unlimited number of classes, scheduled out as far you need. For example Lab A is due 30 days, Lab A reassessment is due 180 days, and Lab B class is due 365 days. Those 3 classes belong to a training plan called Lab Classes. Within the software you assign employees to the training plan Lab Classes. The software then schedules those students for those classes in the Lab Classes training plan and shows this in the scheduled class list, scheduled reports and on the calendars. I completely understand about staying on top of training, TrainingKeeper helps you with this. You can print schedule due reports by employee or class. So when someone is conducting a class, they can quickly see all those who need that class. You can also preview / print calendars which let you see upcoming required training. Also, lets say you conduct a pre-scheduled class. When you enter that training record into the system, TrainingKeeper automatically assigns the training record to the open scheduled class. The software closes the class and the required training (since it was completed) and the class will not show on the report of open scheduled courses. Would this be functional for use for OSHA compliance, company specific SOP training, job specific training (machine operator, QA technician, forklift driver)? Yes, TrainingKeeper is functional for any training you provide both internal and external. You define the classes within TrainingKeeper. Does TrainingKeeper track job positions? Can you define training by position? For each employee you can assign a job position, department and manager. With TrainingKeeper you can create training plans (which consist of multiple classes and scheduled time) for each job position. You can then assign these training plan to the employees. This is very easy because you can quickly select all employees for a given position or department. You can also run multiple reports by manager or department. Absolutely. Many companies struggle when tracking and scheduling training. TrainingKeeper not only makes tracking and scheduling training easy, but proves to your auditor that training is important to your company. In addition, the software package includes a training policy and a training record example. Can I email the reports? Yes. Two options for this. You can send the form as a snap shot, or as a pdf file. How many training records, employees, types, classes, activities does the software hold? Since I don't know Microsoft Access, will I be able to use the software? Yes, you don't need to know anything about Microsoft Access. Included with the software is a pictorial instruction manual that provides step by step instructions. We selected Access to keep the price of the software down. Access also allows for unlimited amount of records. Since most of our customers have Access installed with Microsoft Office, it makes a great application / database backbone. Both versions have the exact same features. In a multi-user environment both versions can be used together. Microsoft Access Version 2007 or greater will work with TrainingKeeper. This includes versions 2007, 2010, 2013, 2016 and Office 365. If you have an older version of Microsoft Access, select the Non-Microsoft Access version. I'm not sure about that one. In the mid 90s MS Access had some rare problems when the database got too big. However, Microsoft addressed these issues a long time ago. But, my company needs something that the software doesn't include. Yes. The license for TrainingKeeper is per user and computer. (see next section) Each subsequent license purchased by the same buyer is only $45.00. After initial purchase, we provide links for the buyer to purchase the additional licenses. TrainingKeeper generates an unique serial number for each user & PC combination per above. 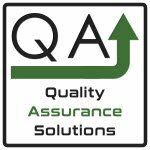 After purchase, the buyer emails serial number(s) to us at rcbhome@comcast.net or support@quality-assurance-solutions.com. We provide these instructions within the software. Within 24 hours (usually within 1 hour) we will provide the license numbers(s) for that computer. During a limited time we will charge a reduce amount for the upgraded software. This is a one time fee and all other license users for the business data receive the update at no additional costs. This will include transferring your data to the new revision. Past that time, we charge the full amount of the new software. But this still includes transferring your data. Previous versions had unlimited users (with no license per computer) at one business location. We no longer support this model. In this case you still receive the update at a lower costs but all additional computers will need to purchase licenses. The software doesn't meet our needs. Is it Windows XP / 7 / 8 / 10 compatible? 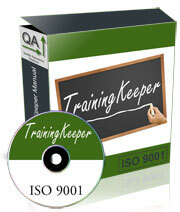 TrainingKeeper is compatible with Windows XP, Vista, Windows 7, Windows 8 and Windows 10 / 10S. How do you configure TrainingKeeper for multiple users? If you purchase the Microsoft Access version. To work with multiple users, put the TrainingKeeperV3.accdb file in a known directory on the server. Give users access to that file on the server. Be sure the user has full Read/Write permissions. If the user does not have Microsoft Access contact us and we can help. Place TrainingKeeperV3.accdr on the server. If the user has Microsoft Access on their computer Skip Step 3. Delete the local TrainingKeeperV3.accdr as that might cause confusion. I purchased TrainingKeeper but when I open it tells me it is a read only and I cant change or add information. I purchased TrainingKeeper but when I open it I see a blank Microsoft Access Screen. Most likely you have Microsoft Access 64 bit installed. The software was created to work with 32 bit. Contact us and we will send you a version that will work. TrainingKeeper uses macros for some of its coding. This is an easy problem to fix. You will need to create a trusted location or enable macros within Microsoft Access. "Training KeeperV3 Manual.pdf" that came with the software has pictorial instructions on how do this. You will only need to do this once. When I open TrainingKeeper I get an error message on missing mscal.ocx file. Within the downloaded zip file for the software there is a file called mscal.ocx. Copy this file to the directory that contains msaccess.exe.